At GoodnessDirect we sell a huge variety of products for those interested in organic or vegan, healthy or restricted-diet food, and for those who care about eco friendly products too. If you’re looking for a sample of our most popular products then you can find them listed on our Facebook pages in the Shop section, if you’re after something gluten-free, dairy free or fairtrade or raw, it could well be there. 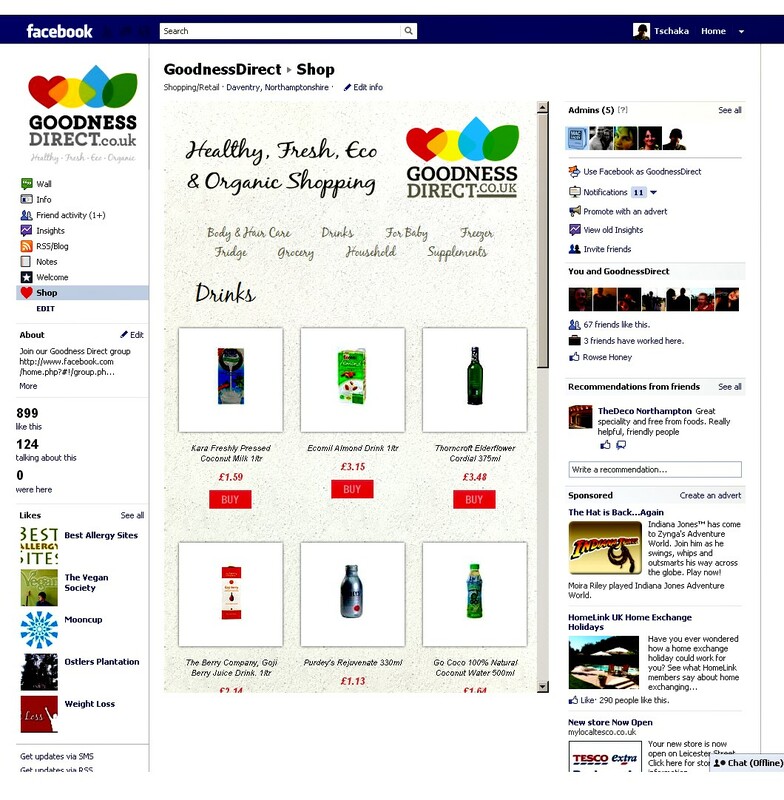 There’s such a lot more going on with GoodnessDirect on Facebook – you can make friends with people following a similar lifestyle, you can share tips and recipes, you can find discounts and news and information and competitions and more. So it’s worth joining in. Have found Glucosamine really helpful with arthritic hip pain and they can be purchased via the internet quite reasonably-Simply Supplements gives an excellent service. Looking for help with Arthritic pain I remembered Mother giving us kids Cod Liver oil and Malt for strong bones seems to have worked until now. What are the chance it would help RA? And when will you start shipping to USA?